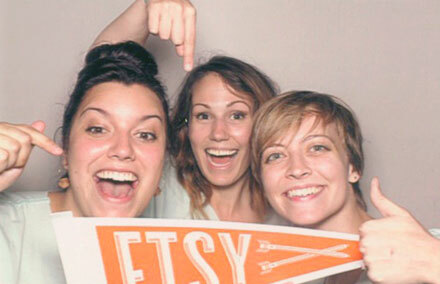 The Etsy Global Craft Party is back! And this time it's hosted by our local South Carolina Etsy Team. 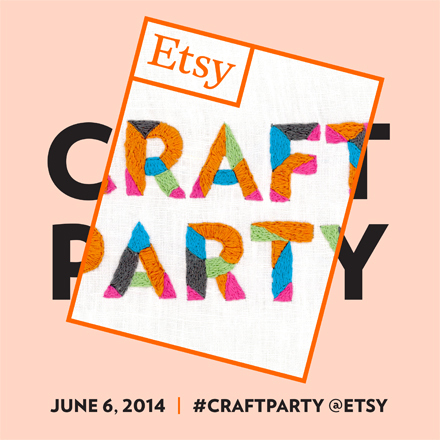 What is Craft Party? 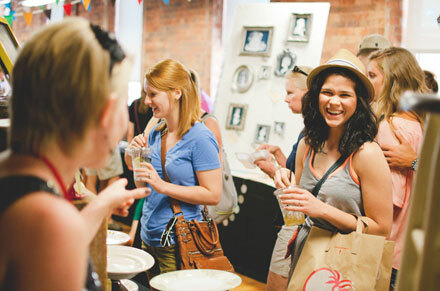 Every year, people from around the world come together on the same day in locally organized Etsy Craft Parties to create art and inspire each other. 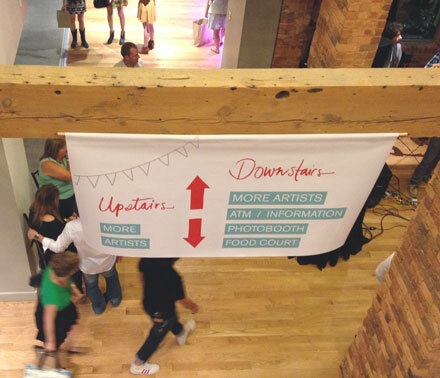 In 2013, more than 11,000 people took part in Craft Parties in locations across the globe! The 2014 theme is Recapture: Bring new meaning to your photographs. Partygoers can bring a special photograph, perhaps one that carries personal memories and nostalgia. Then, with needle and thread or paint and pen, transform that old photograph into a new handmade heirloom. The next workshop in this year's series of events is Learn to Knit with Deb Potter. 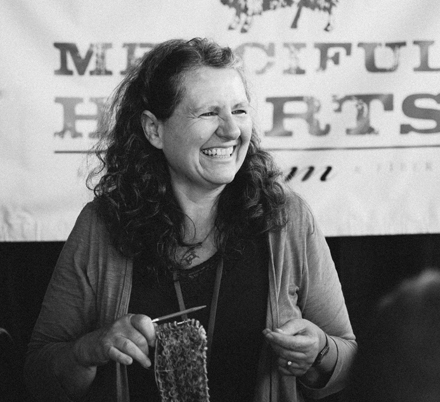 You may remember Deb and her beautiful yarn from our festival, or from our About video, where she gives us a tour of her farm. If you've always wanted to learn how to knit, or maybe you're just a bit rusty, this is for you! And in the spirit of all things warm and cozy, what could be a better location for this class than a tea room? DETAILS: Come for an evening of fun where you'll learn the basics of knitting. Create a cup cozy using a skein of Deb's handpainted wool yarn and go home with a finished product at the end of the night. All supplies are included in the cost of the workshop. 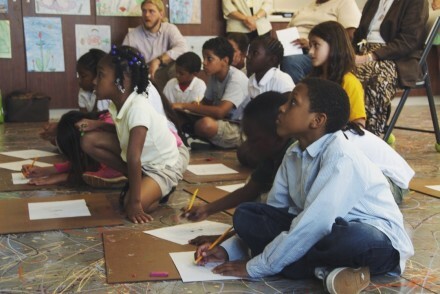 Class size is limited, so grab your friends and register here. Next Saturday we're going to have a station at the Kids' Maker Fest--a special event with The Children's Museum of the Upstate. The whole day is dedicated to teaching kids about the value of making and the different avenues that people use to incorporate making into their lives. 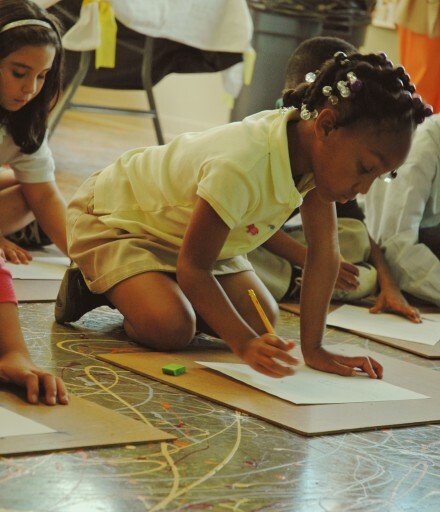 From The Children's Museum:A maker is a do-it-yourself kind of person, who engages their creativity and knowledge doing hands-on projects. 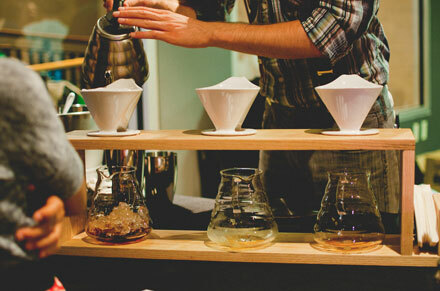 Some makers are science and technology oriented while others are more crafty. All makers share a passion for creating, and believe that if something can be imagined it can be made! If you've never taken the kids in your life to The Children's Museum, this is the perfect opportunity. Not only will you get to see their amazing regular exhibits, but also kids have access to all the stations available with The Maker Fest. Participation in The Maker Fest is free with general admission. We hope to see you there! It's going to be a great day. 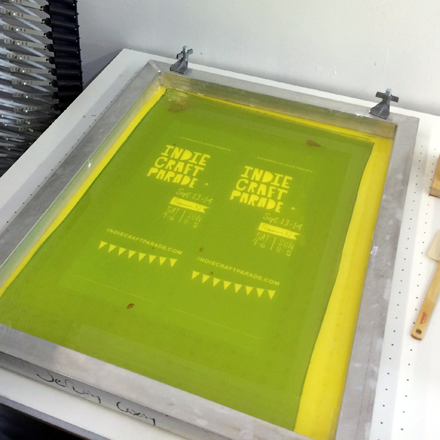 We're excited to announce another fun Greenville event coming up very soon! We've teamed up with our Anthropologie store to spread some early holiday cheer in our community! Keep reading for more details. 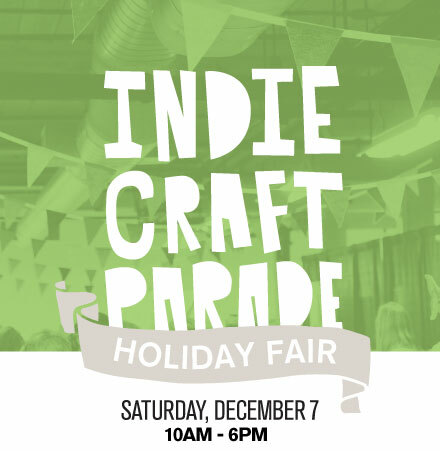 Join Indie Craft Parade and the Anthropologie visual team to prepare shimmery baubles and paper festoons in preparation for the holidays. 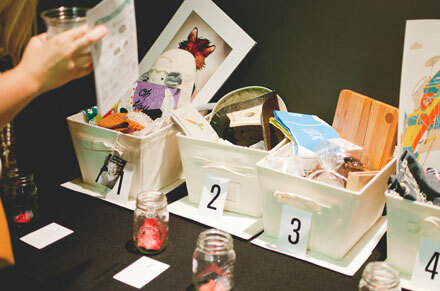 Each workshop attendee will help to craft a store display as well as a handmade treat to take home. We'll craft garland and ornaments from magazines, cardboard, caps, tassels and straws, all in the spirit of creating the extraordinary out of the ordinary. Learn about Anthropologie's unique aesthetic vision, handmade craft and what's in store for the holidays! All materials and tools will be provided. The event is free, but you do need to RSVP because space is limited! Email anthroevents@anthropologie.com to reserve a spot. 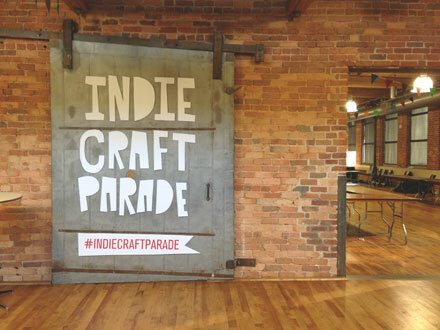 This past weekend was a blur, and it's still hard to believe another Indie Craft Parade has come and gone! 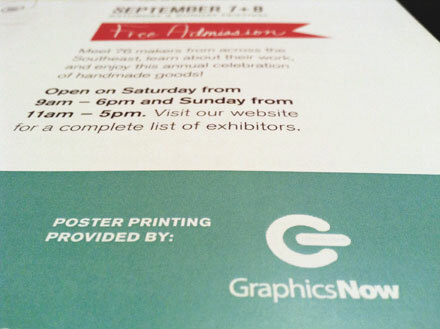 With 6,500+ attendees throughout the weekend, we think it was our best show yet! In case you missed it, one of our sponsors, Sam Windell, put together a really fun event video for us! Things that were new this year: · More space! For the first time, we had two floors of artists. · A fitting room. (not pictured) · Our giant logo sign. Which inadvertently became a fun photo backdrop. · New food and drink vendors. · Sponsors on-site. 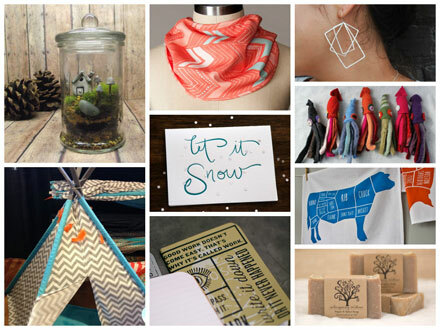 We were so excited to have both Etsy and Spoonflower join us at the show this year. They sponsored a special Meet & Greet party just for our artists! And we had a special guest show up from MailChimp. And as always, our show wouldn't be possible without our talented artists, our volunteers, our sponsors, and the fans of handmade who patiently wait for their turn to see what we've all been working on for the past few months. Thank you all so much for another great year! What was your favorite part? Handcrafted popsicles? The free photobooth? Tattly tattoos? Handmade goods as far as the eye could see? And don't forget to check out #indiecraftparade on Instagram to see what people loved most. 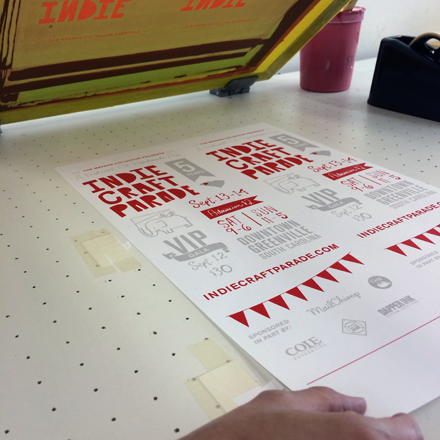 Our media sponsors play a key role in helping us spread the word about Indie Craft Parade. Today, we’re introducing one of these valuable partners: the Greenville Journal. 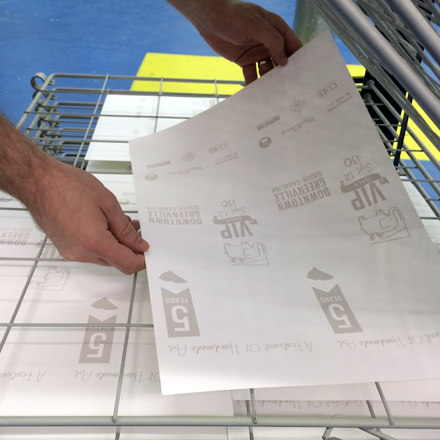 Besides their reputation as a source for important Greenville and Upstate news, the Journal is the place to go for details on community events, small business introductions, and cultural news including music, art, and festivals. Currently the cover story for the Greenville Journal is the new development in the Village of West Greenville, the hub of Greenville's art community. If you haven't heard, West Greenville has recently undergone some exciting rebranding and new development. Every time we look we learn of new studios, shops, and even restaurants opening or relocating to West Greenville. 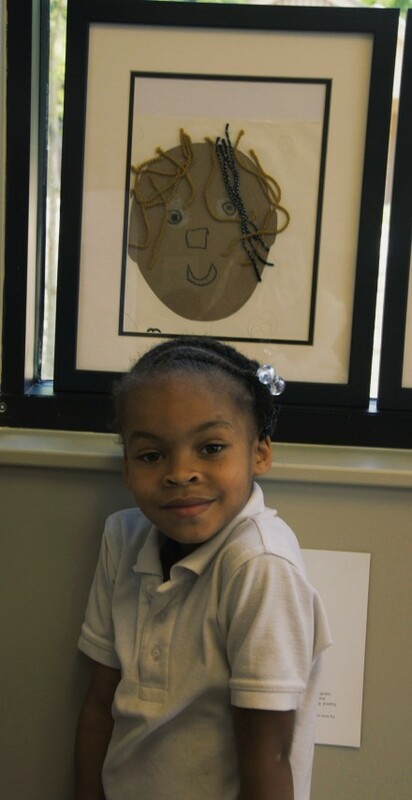 And we're so excited to see this group getting more exposure from the surrounding community. 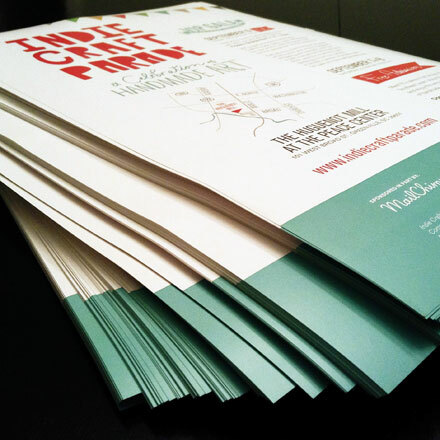 Also, keep an eye out for the Indie Craft Parade ads in upcoming issues. As you spot them, snap a photo and tag us in Instagram. 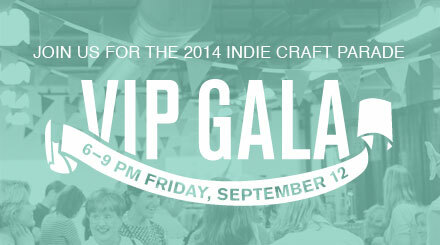 We are officially accepting applications for the 2013 Indie Craft Parade! 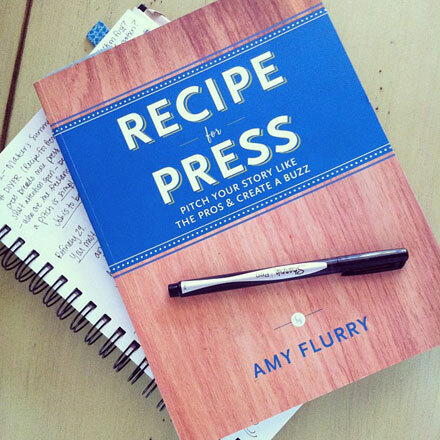 Applications must be submitted before midnight EST on June 23, 2013 so tell all your creative friends and family members. If you have any questions about who can apply or what kind of handmade goods we're looking for, check out our Participant FAQs and then apply here!